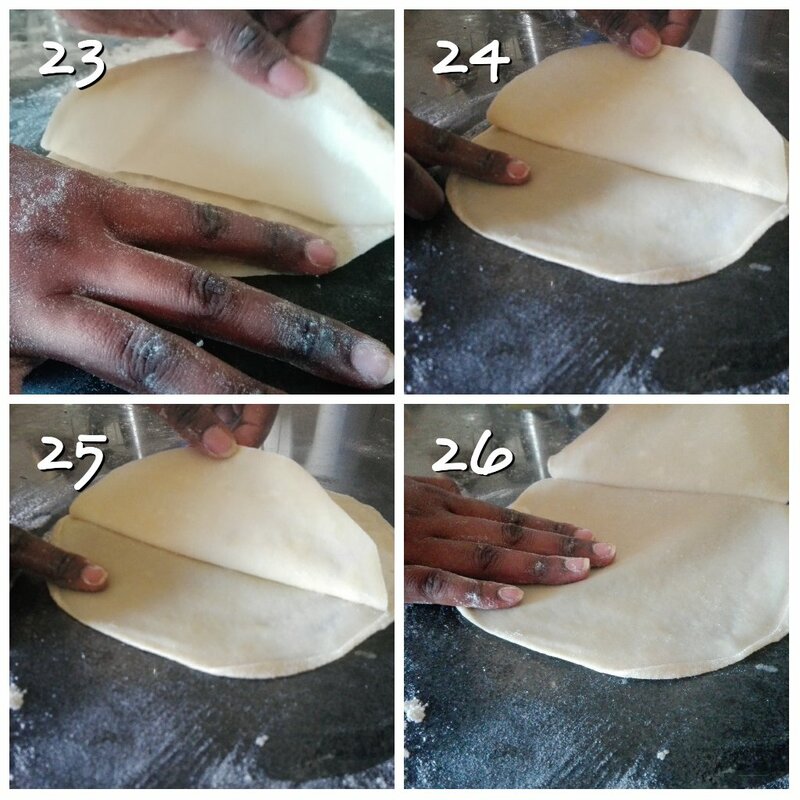 How to: Samosa Pockets - Leo Tunapika? 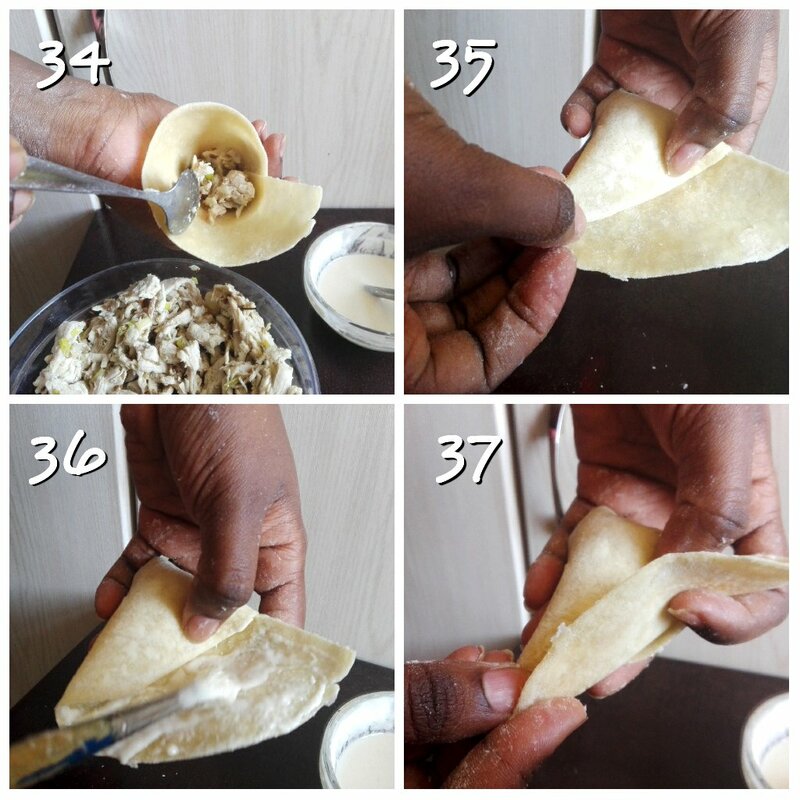 Ever heard of a person who failed at using pre made samosa sheets? Well I did! In my defense as soon as I had started to work with the sheets my other daughter (we were blessed with another girl back in November last year) woke up and I had to abandon everything. When I came round to using the sheets they had dried out a bit and any attempt to fold led to tears (pun not intended) 🙁 . Funny thing this was my first time using the pre made sheets. Usually I make my own samosa pockets. 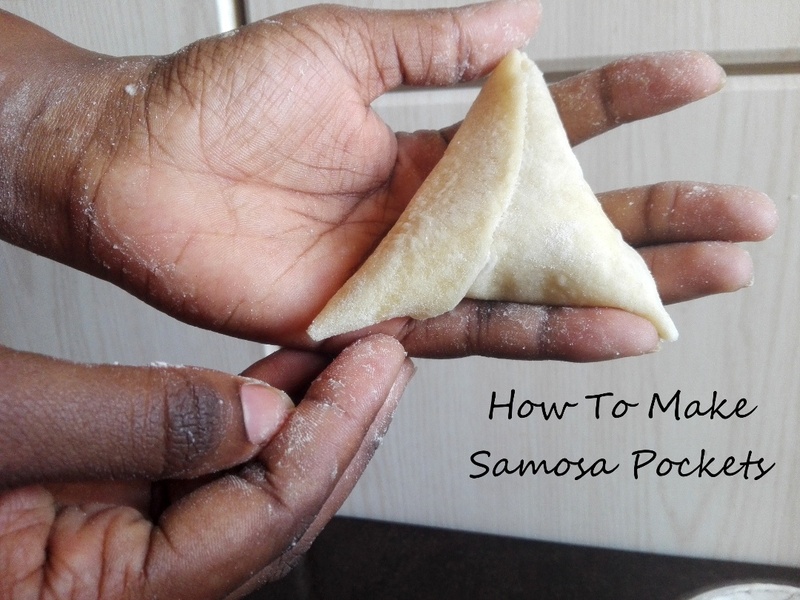 Anyway after that epic fail I went back to what I actually know so today I share how I make samosa pockets. Just the thought of making samosa pockets is intimidating but trust me it’s easier and faster than you think. Once you get the hang of it and master the ‘tricks’ you’ll be rolling out your own. 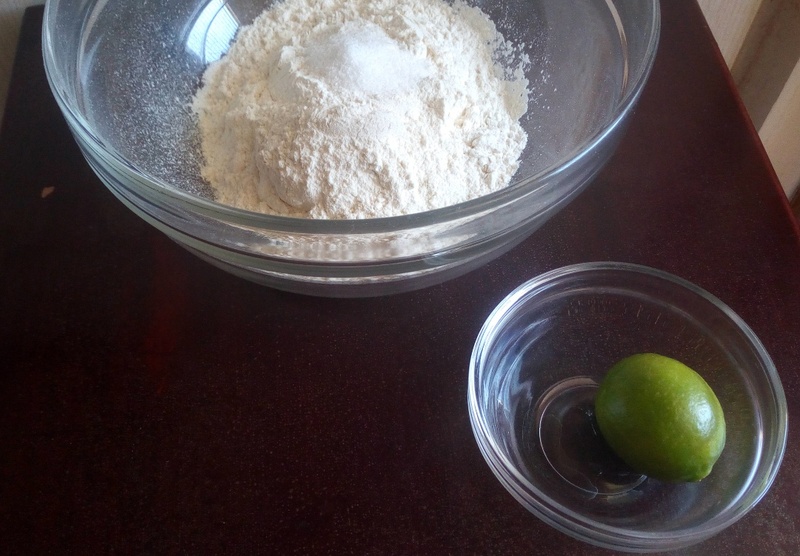 The use of lime juice may seem strange, however I came to learn that the juice prevents the formation of air pockets on the samosas when deep fried. Since using it I’ve noticed that the ‘pimples’ are pretty non existent. 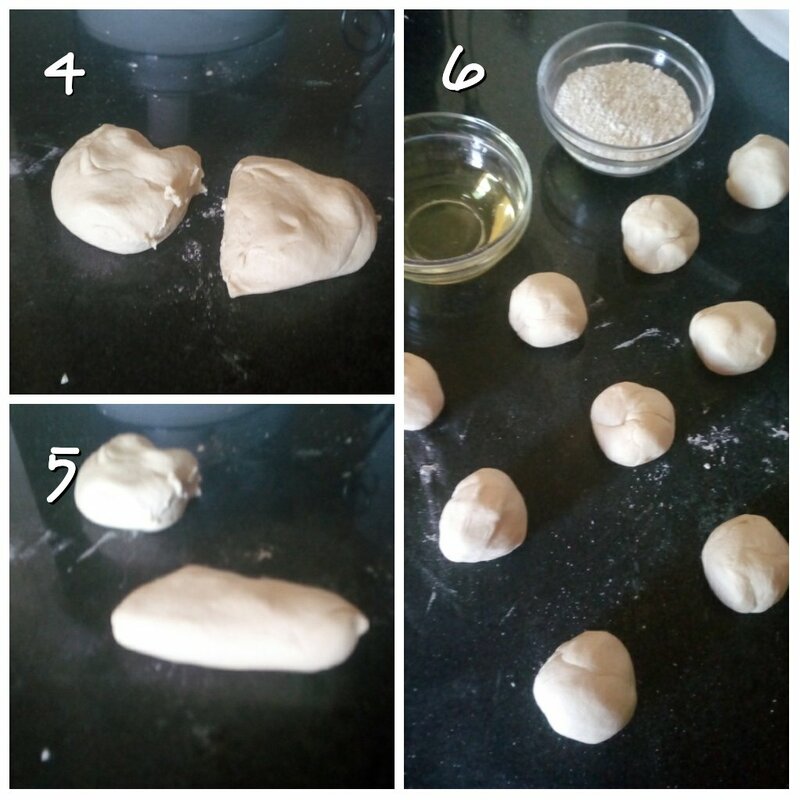 Using a wooden spoon, mix the dough until it’s sticky. 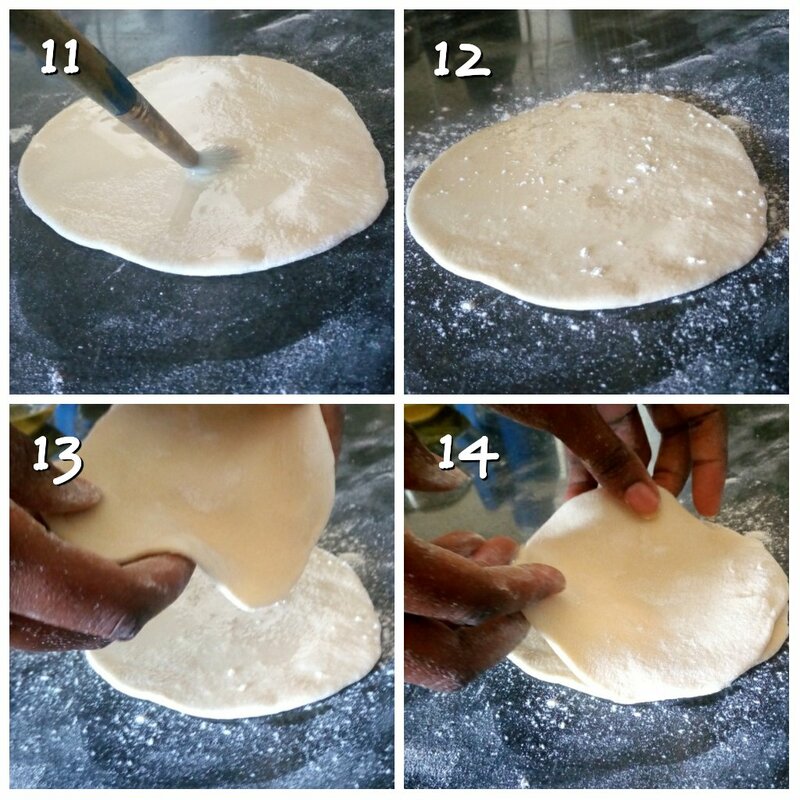 On a floured surface, knead the dough until soft and no longer sticky. Lightly oil the dough and let it rest for about 10 minutes. 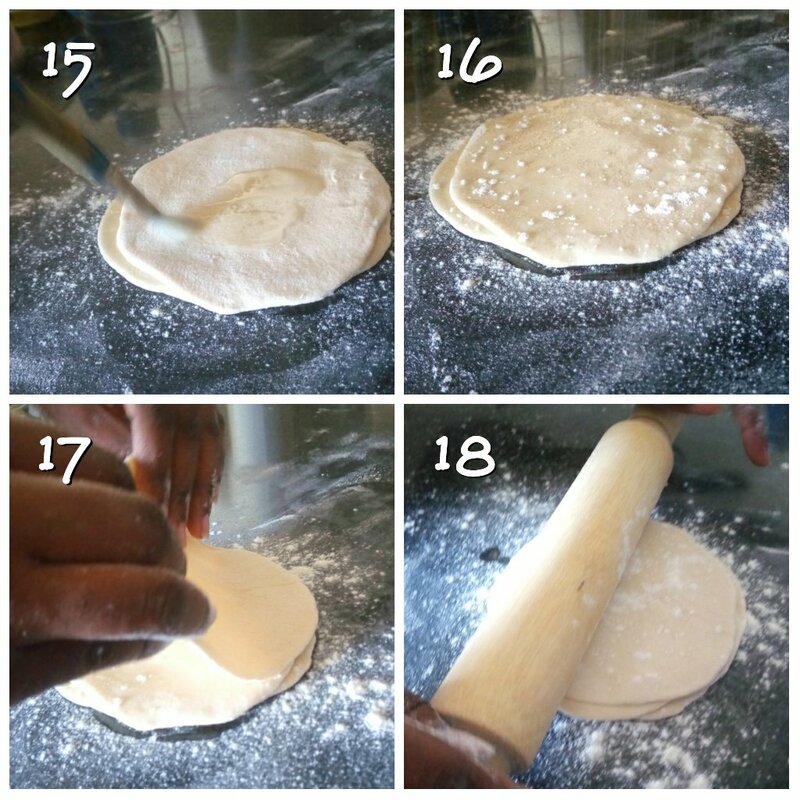 Once the dough is rested, divide it into quarters. Roll out each quarter into a log and cut to form 3 equal balls. Keep the small balls covered to keep them from drying out. 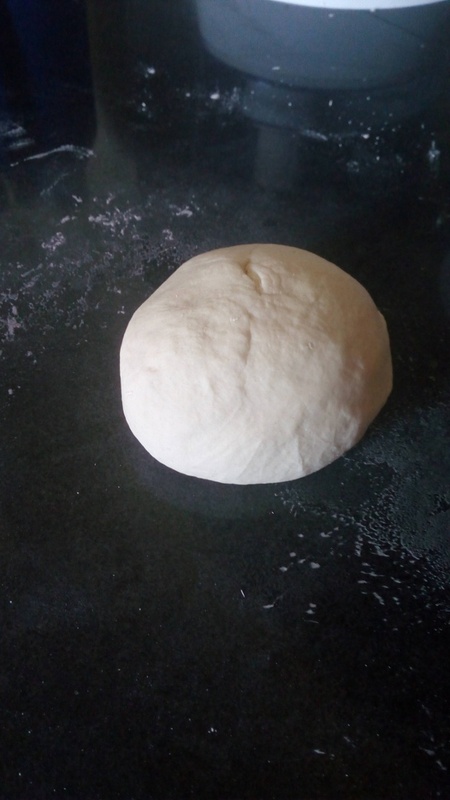 Using a rolling pin,roll out the ball into a small disc. Repeat the process to form 3 small discs. Take one of the three small rolled out discs and brush with some vegetable oil. Dust the oiled disc with some flour. Take another rolled out disc and place on top of the oiled and floured one. Repeat the procedure, brush some oil on the second disc. Place the third disc on the two that have already been staked up. Dust the three layers with some flour and prepare to roll them out. Using a rolling pin, firmly roll out the stacked up discs. Keep flipping over to ensure the discs roll out while still maintaining a circular shape. Heat up a heavy bottomed pan, I used the one for making chapatis. No oil is needed. 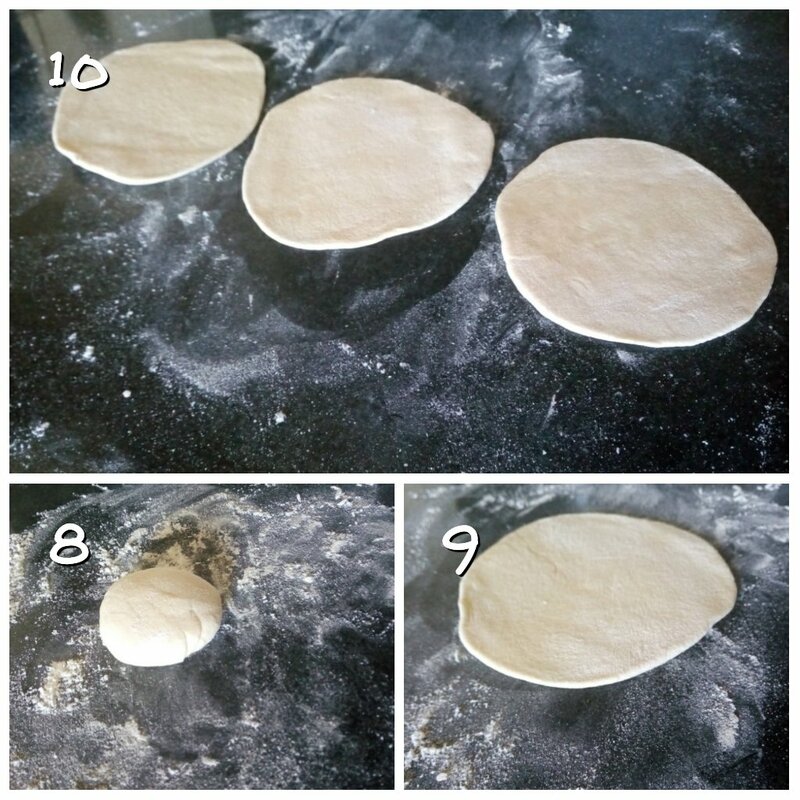 On a heated pan, place the rolled out dough. The idea is the dough to partially cook, flip after air pockets start to form on one side, then remove from the pan. Now the fun part, gently lift the top layer and gently pull away from the other two. Pull away gently to keep the sheets from tearing. The sheets will be light and almost translucent. Once all the sheets have been precooked, stack them together. Samosa pockets ready for use. Now the sheets are ready to use. 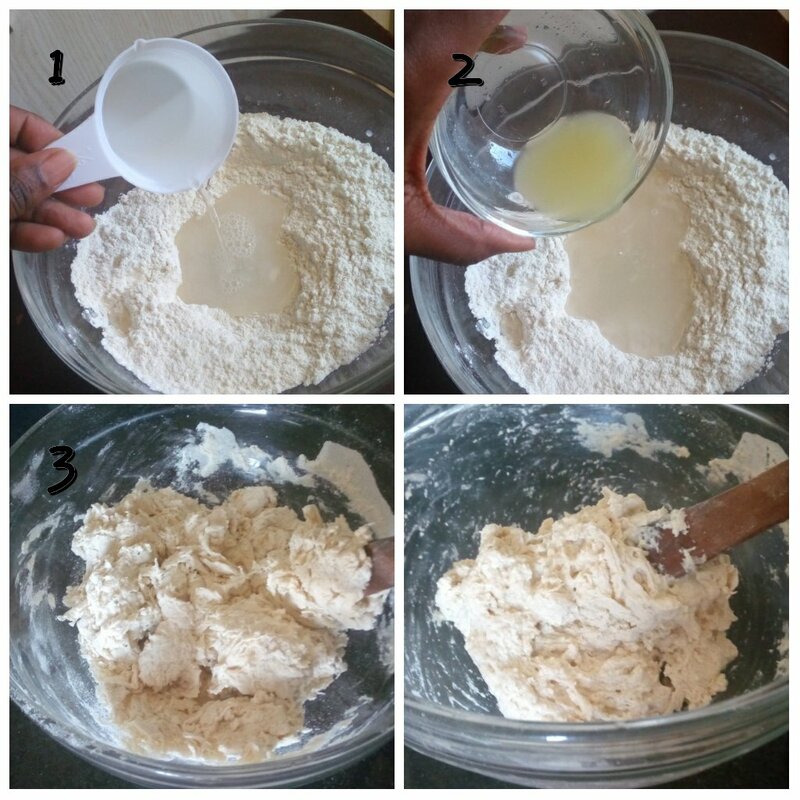 Before using the sheets, prepare an edible glue using flour and water. Take one of the sheets. Bring the end furthest from you to form a triangle. 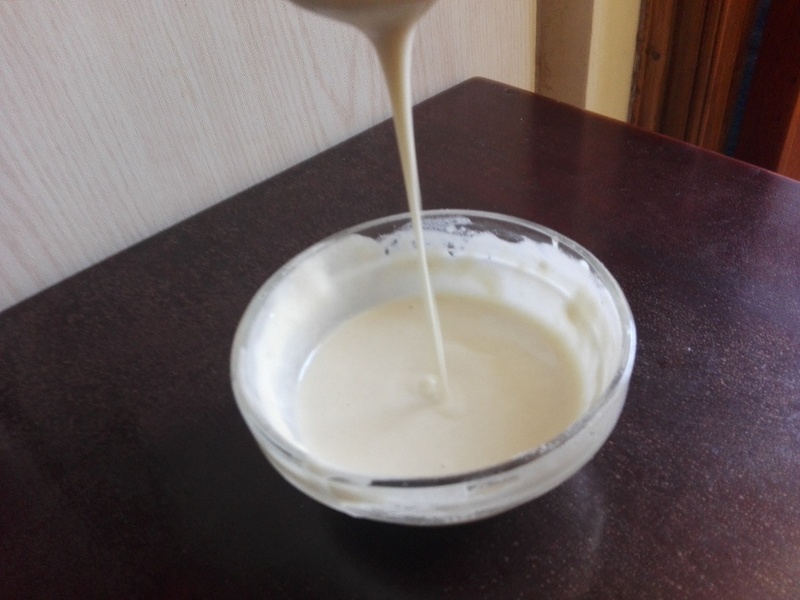 Using a brush or your finger, apply some of the edible glue of the piece that is left. Fold over to seal the pocket. This will form a cone, with a cavity for the filling. Fill the cone with your preferred filling, don’t stuff. Using your thumbs close up the cone. Apply more of the edible glue on the hanging flap. 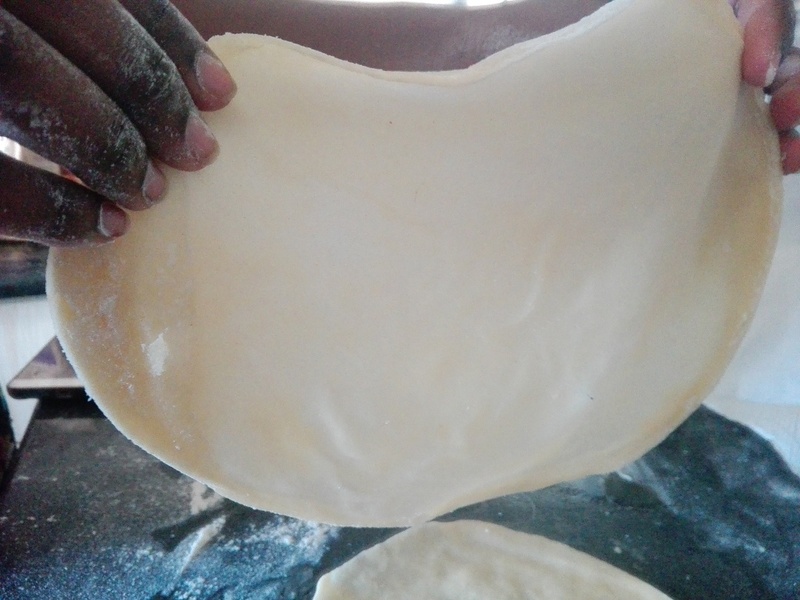 Then fold over to seal the samosa. There you have it, a beautifully formed samosa that is the ready to be cooked. 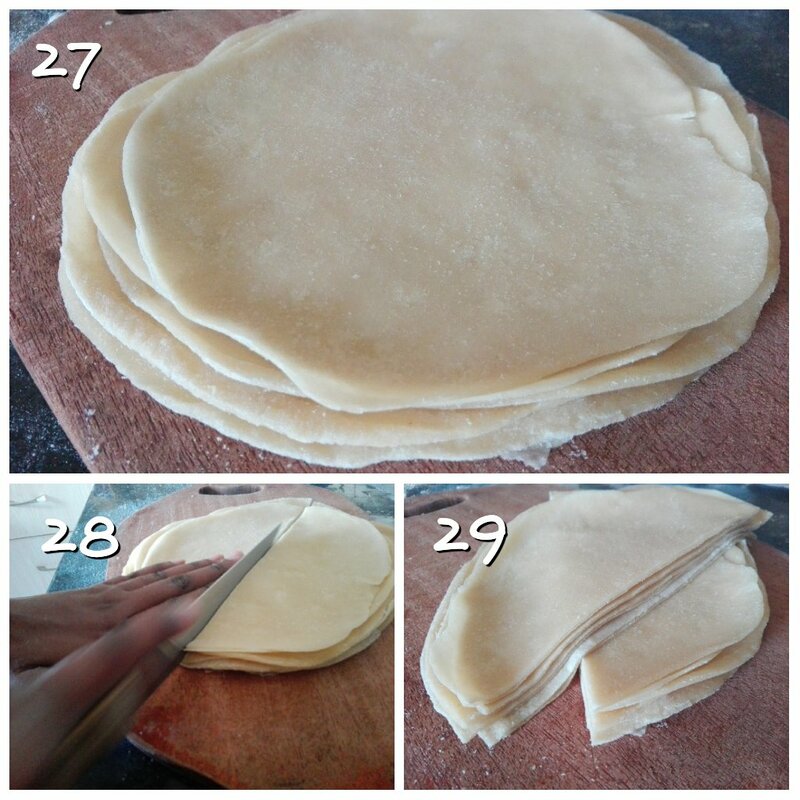 How to make samosa pockets at home,don’t let the somewhat lengthy post scare you, this is actually pretty easy to do. Do try this method out,I’d love to see your results. Waow! am so impressed, I never knew I would do this.u av really helped me,4 sure my dreams r valid.May the good Lord bless u 4 ur good work. Aww thank you Mary. Yes, now you can enjoy your very own samosas. Wau!! Now I know. Thanx a lot. Pingback: Chicken Samosas - Leo Tunapika? Thanks for the recipe. Just a quick one, what temperature was your water? Does it matter if it’s cold or warm? It’s long since I made samosas. I hope I find time to try this recipe of yours. I have bookmarked it! This is such a great recipe. Following was quite easy and the pictures and step-by-step instruction makes everything so clear. Thank you for sharing. I hope you do try it out. 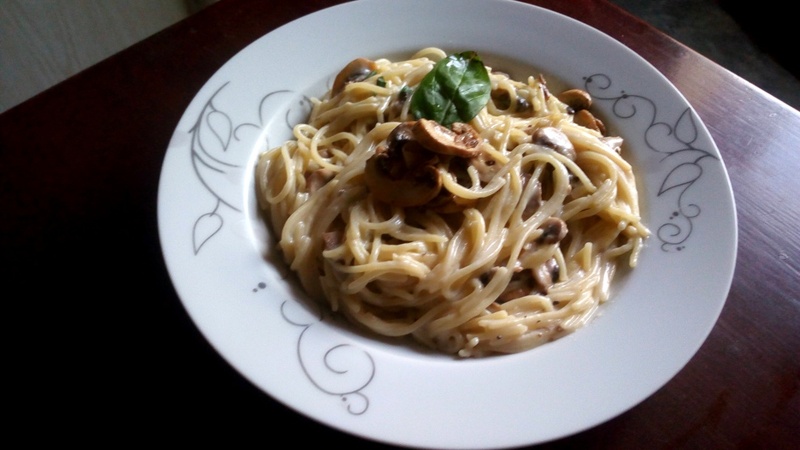 The pictorial recipe has made this my to go food blog!its simply incomparable, good job lady! Your kind words have made my day, Thank you. I love samosa but I can’t make them myself. So, I am gonna save this post to use it soon for some samosas. 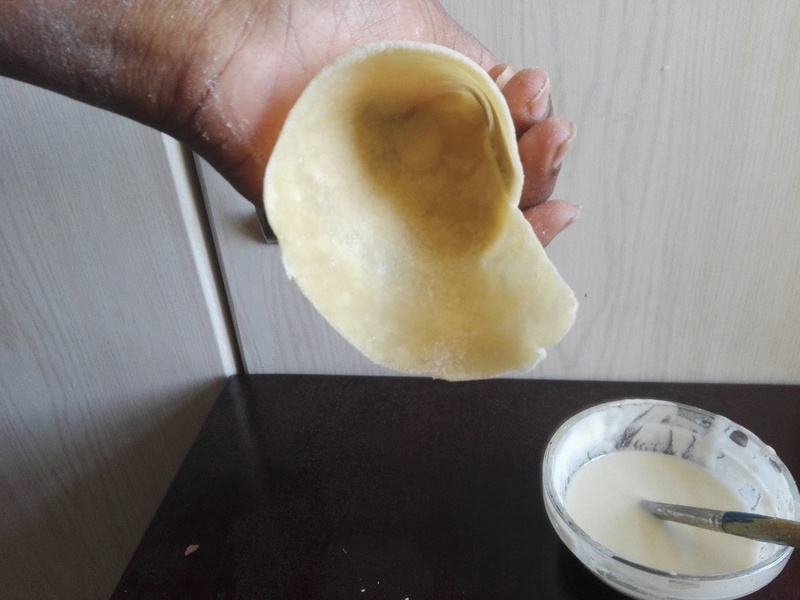 Hi, I have some leftover ndengu in the fridge and wanted to try out ndengu samosa and I don’t know how to make the pockets because the last time I did it, it was heavy. I found your blog and let me try out and tell you how it turned out. Hi? Yay! All the best, awaiting your feedback. Hi do you also make samosa pockets for sale? This is awesome! Thanks for the recipe. I am going to try it out. 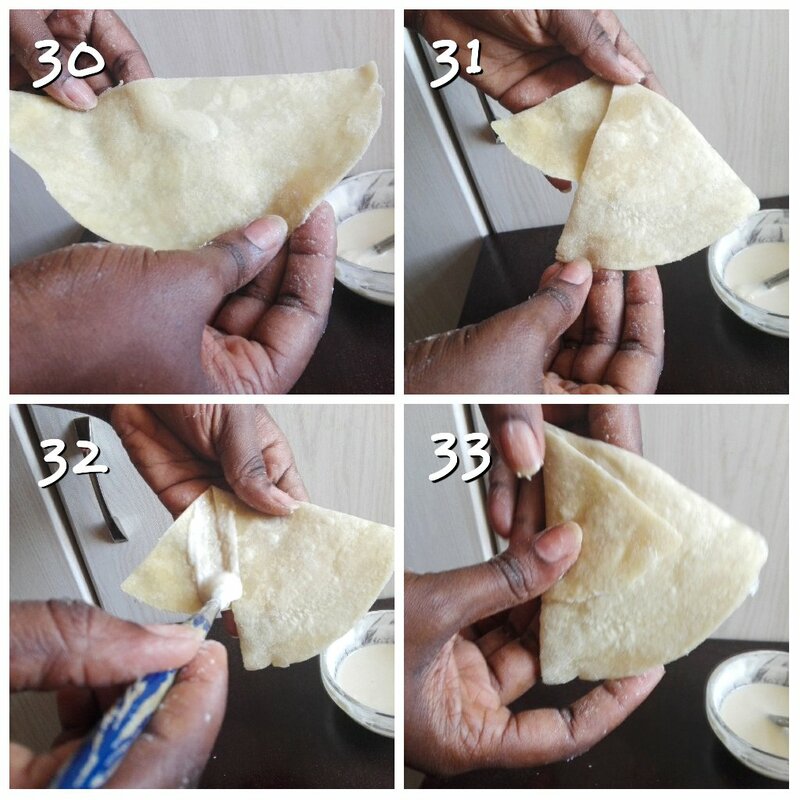 Been wondering how to make samosas at home. Thank you Gladys, do try and let me know how it goes. Hi Stuart, You can cover in a kitchen towel and freeze them. Just remove them like 1 hour before using to thaw them. 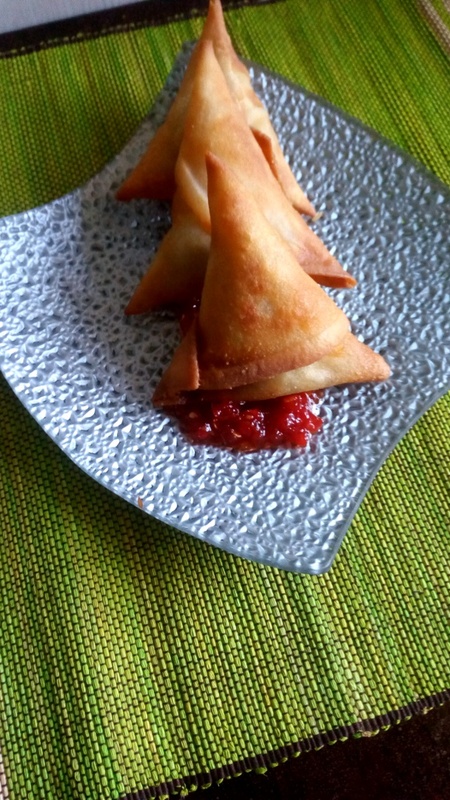 Hello thanks alot,i wanted to know how to make samosa pockects,thanks alot.my other question is could i make the samosa ,fill them up ,seal them and put them in the fridge so i deep fry them the next day in the morning. Nice recipe. I invited some lady to teach me but she didn’t cut the preheated discs into two halfs. Now I know. Thank you Mary. I’ve realised some people do it differently. Depending on the size of the discs one may just use them as is. Hey Binta, so sorry about the samosa pockets. 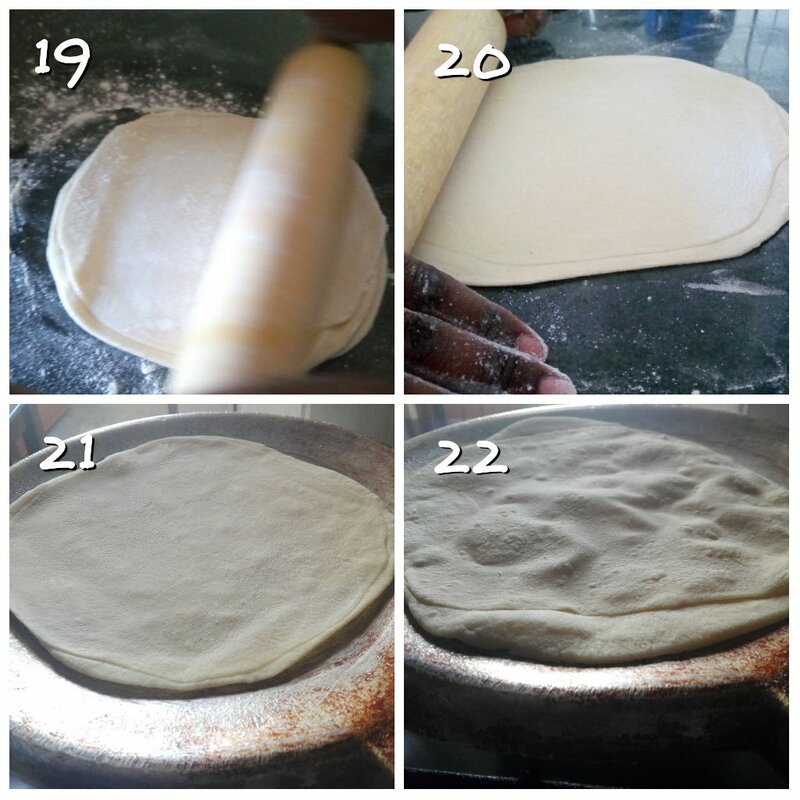 Have you tried putting some flour between the layer before wrapping and freezing them? I’ll also try different storage methods and get back to you. I took me a while to find such a wonderful post and I appreciate you. Limes however are hard to find where I live and if found they are a whole lot of expensive. Is there an alternative for avoiding blister bubbles?